Family fun springs to mind here with a huge focal point pool and an aerial adventure course reaching out to the beach. This hotel has dropped on a top spot and is perfect for both pool and beach lovers. You know you're in good hands with the impressive buildings and a huge choice when it comes to food and drink. If you're a pool kind of person then these are idea with the pool reaching right up to your terrace. You can fit 4 people in this room king size or twin beds and additional sofa beds for the kids. 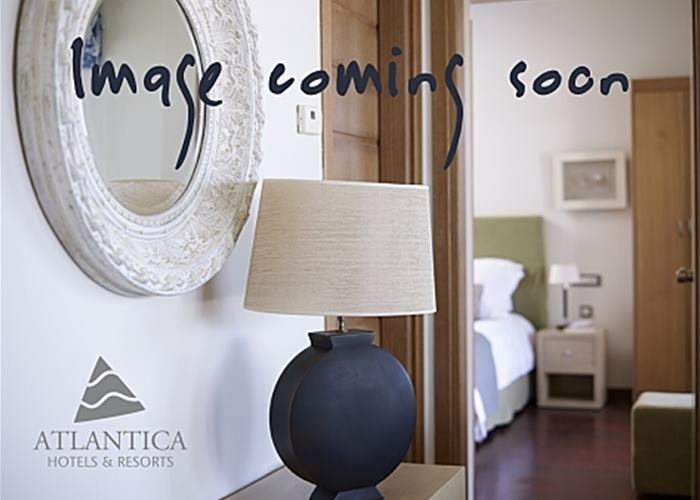 As well as direct access to the pool, there will be a view over the gardens or pool area and you'll find all the essentials like mini fridge, LCD TV and air conditioning. These rooms are spacious and have a classic feel. There's a king or twin beds and a terrace or balcony. Rooms sleep up to 3 people and come complete with mini fridge, LCD TV and air conditioning. You will need to book two of these rooms to get them interconnecting. These are idea when you need more space on holiday and you enjoy the little luxuries in life. 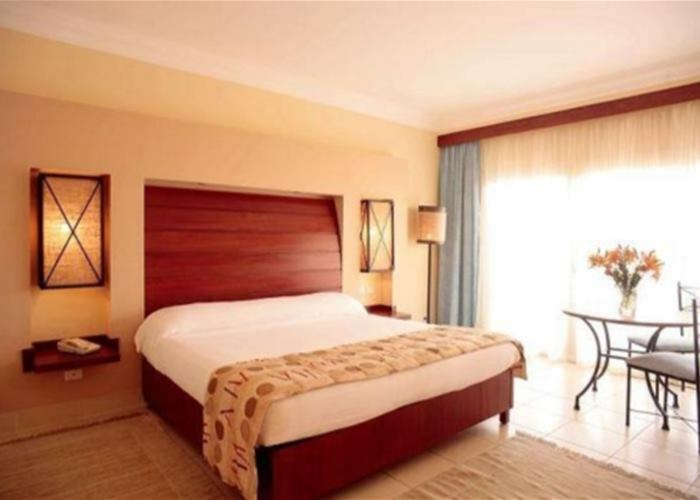 Rooms sleep up to 3 with a king size bed and large sofa bed. There's either a balcony or terrace connected to the room and looks over the pool, gardens or sea. 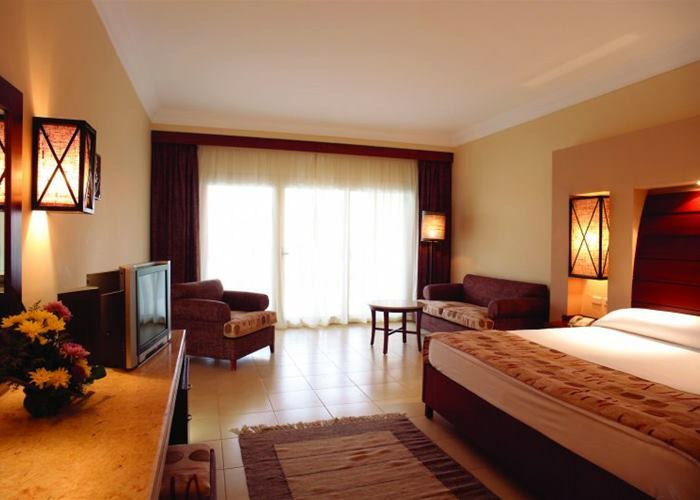 You'll find the added luxuries of DVD player, bathrobes and slippers as well as mini fridge, LCD TV and air conditioning. These rooms are spacious and have a classic feel. 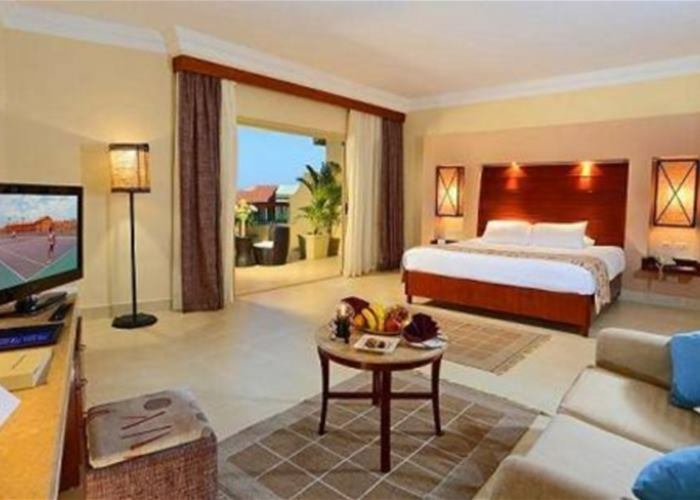 There's a king or twin beds and a terrace or balcony with inland, pool or sea view. Rooms sleep up to 3 people and come complete with mini fridge, LCD TV and air conditioning. This den always get's the kids excited with two separate sleeping areas and one of them kitted out with the kids in mind. 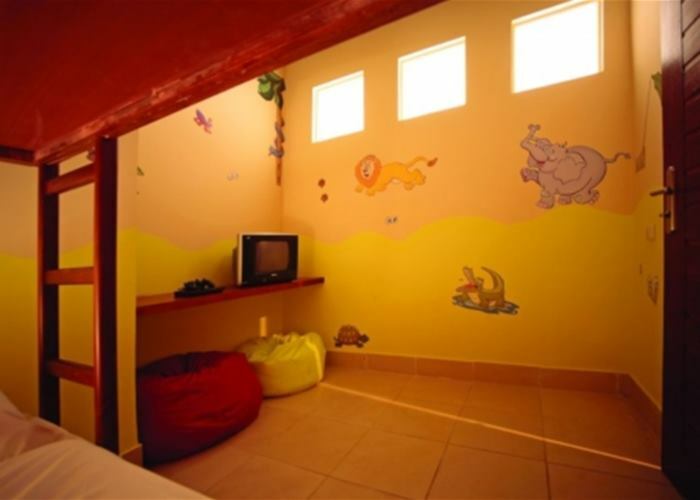 The main sleeping area is spacious with a king size bed and the den is ideal for children under 12 and has bunk beds with their own Playstation and comfy bean bags. There's a balcony that overlooks the hotel gardens or pool and sleeping up to 4 people you'll find all the essentials like mini fridge, LCD TV and air conditioning. The elegant decor sets the scene well for an enjoyable and comfortable stay. The terrace hosts your own jacuzzi tub perfect for a relaxing moment with bubbles. Sleeping up to 4 people with a king size bed and sofa beds, you'll find the added luxuries of DVD player, bathrobes and slippers as well as mini fridge, LCD TV and air conditioning. 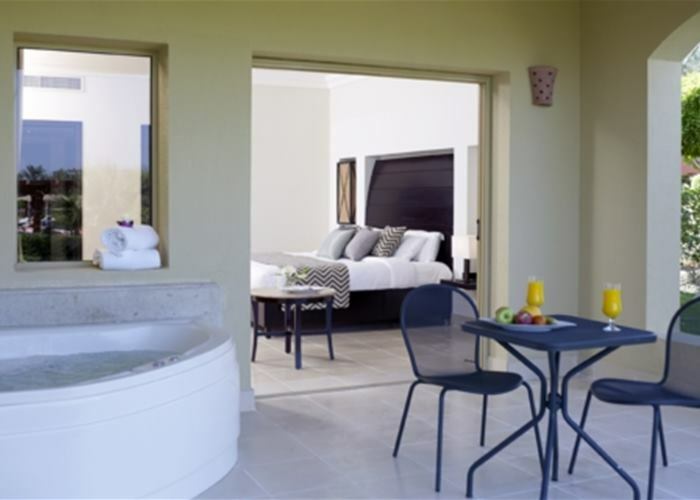 With spectacular views to the Red Sea, sophisticated Jacuzzi Suite provides the opportunity of getting spoiled in the whirlpool on its balcony or terrace. The suite includes king bed, separate lounge area, tea and coffee making facilities, DVD player, bathrobes and slippers as well as complimentary turndown service. Additional camp beds can also be provided thus accommodating up to 3 adults.